It was obvious that initial rush for kasaba Starring Mammootty will be huge as the movie has got publicity like never before. Thanks to the troll pages in Facebook the fame of Kasaba has reached every nook and corner of Kerala without even spending a penny on advertisement. Talking about the quality of Kasaba. 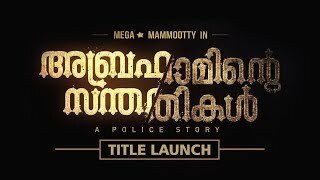 Renji Panicker has already set a bar on how a police movie should be. That bar is too high and none has gone over it till now. Police had a cliché bad guy image for the public. Thanks to Mr. Renji Panicker it has changed to a heroic status. So the problem is whenever a person writes a police story he or she has to so much careful. if not people will say that the script is cliché and is a cheap imitation of Renji Panicker script. Anyhow Renji Panickers son Nithin Renji Panicker is clever enough to keep in this mind wrote a script which stands apart from cliché and has high entertainment content. Mammootty’s character Rajan has been portrayed as a guy with a twisted comedy sense and a womanizer which might be first in Mammootty’s career considering the police role that he did so far. Kasaba has managed to intrigue and engage people from the start to finish and that will be the reason for the success of the movie in coming days. The movie also gooes through socially relevant incident as well as the male chauvinistic side of men. Comedy Kasaba has is spot on and has worked out well. However Kasaba is still not the best police movie or story that has been released till now in Malayalam but Kasaba is a 100% entertainer and will be worth each and every penny that you spend on it. Circle Inspector Rajan is a guy with a twisted sense of humor and is very much interested in sexual activities which are considered as immoral in society. His life changes when he had to go to kaliyoor (kerala – Karnataka Border) because of an incident which has in relation to his personal life. Mammootty as CI Rajan was perfect. Siddique has recently managed to amaze people with his acting. His role was short in Kasaba but was effective and one of best performance in the movie. 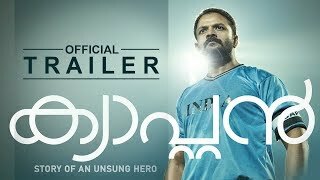 Jagadish as Mukundan also one of the best in Kasaba. Varalaxmi Sarathumar’s has been portrayed as a strong women in the movie and she has done justice to the job. Rest of the actors were good as there was no bad performance in the movie. BGM of kasaba is absolutely exciting and brilliant. But some songs were not.